A solid implementation plan is necessary in order to help you identify which tasks need your attention going forward. It also helps you get organized by dictating the order in which you need to do the tasks. As you begin with planning EHR approach, it's helpful if you break your planning down into three specific categories. That will give you more clarity about your practice as it looks right now, and your practice as you want it to look in the future. As you begin, you'll want to meet with your staff, perhaps even individually, and find out how much they already know about an EHR. Some of them might have used various systems before, in other jobs. Others might be very confused about the changes they can expect in the coming months. Either way, it's important to find out where everyone stands in their understanding of EHRs before implementation begins. That way, you'll know how to educate your staff. Before you can begin planning for the future of your practice, it's essential that you understand the current workflow within your office. How does all of the work currently get completed? You might be surprised, but as time goes on, medical practices can sometimes take on a life of their own. Your office staff may have made changes that you're not aware of because the office continues to run smoothly. Finding out as much information as you can about the workflow within your practice will guide you with regard to the changes that you'll make in the future. Once you have an understanding of the current workflow within your practice, you'll be able to discuss what your new workflow will look like. In planning EHR approach, you'll find that's it's necessary to make some significant changes, and your EHR vendor should be able to guide you through those changes. Once you have redesigned your workflow, begin making some of those changes immediately. That will make your transition even easier. The most successful EHR implementations have included back up plans for any issues that might come up during the implementation process. You'll also want to identify any privacy and security issues and come up with a plan for those. Your vendor will be a great resource for you in that as well. Once you understand the current and the future states of your practice, you'll be able to easily identify the changes that you'll need to make. For example, how will the transition to electronic records from paper charts take place? What information will be transferred, and how will it be done? What information will be moved from your old system into your current system? Will information such as physician schedules or patient demographics be transferred automatically, or will that need to be done manually by your staff? As you can see, planning your EHR approach is a crucial step in the implementation process. It will be very helpful in identifying what you and your staff need to do in order to be ready for the transition. Your vendor will be an excellent resource for you as you make the necessary changes in your practice. 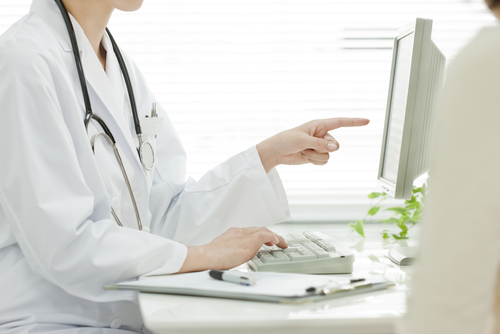 We'd love to talk to you about implementing an EHR system within your practice. For more information, contact us today.